Natur-Blog, on behalf of Natur-Bag, is happy to announce the implementation and release of two new web tools to the Natur-Bag website: the Natur-Bag Food Waste Conversion Calculator and the Natur-Bag Right Sizing Calculator! These tools can be found on the Natur-Bag website and serve as powerful tools with those looking to learn more about the amount of organic waste they collect and which liners will be the best fit for their waste collection efforts. Per the EPA, nearly 220 pounds of food waste per person per year is sent for disposal in landfills. While in a landfill, food waste will contribute to the dangerously growing amounts of greenhouse gases, as opposed to being diverted to an industrial compost facility where the same waste could be turned into valuable compost which will not only help reduce greenhouse gases but will aid and reenergize our soil. With the Natur-Bag Food Waste Conversion Calculator, the power of waste and where it ends up will be even more magnified as now you’ll be able to convert the food waste to be diverted from landfill into pounds of CO2, the equivalent of average American cars driven for one year, homes’ energy use for one year, and much more. The calculator allows users to enter an amount per day, week, month, and year and will generate a number equivalencies based on the amount of food waste entered. 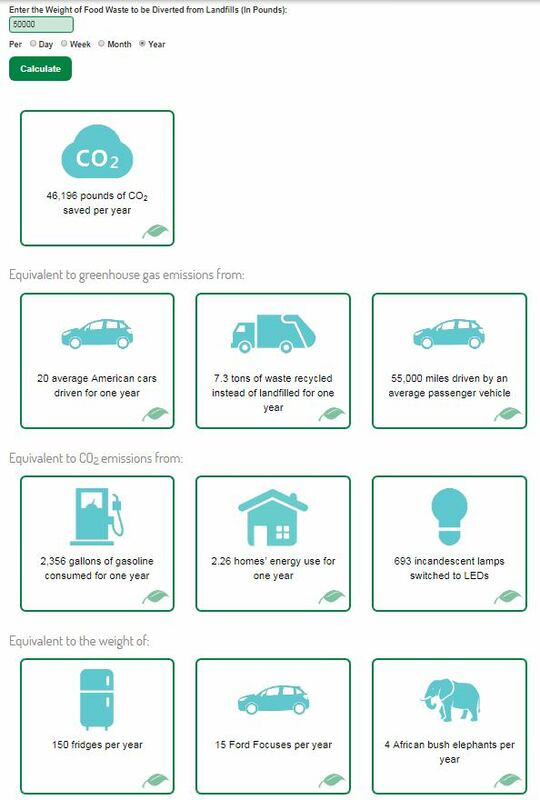 This is important as it will provide a sense of context to the amount of food waste we generate and look to divert from landfills. This tool also features Facebook and Twitter share options so you can share how committed you are to diverting waste from landfills where they don't belong! 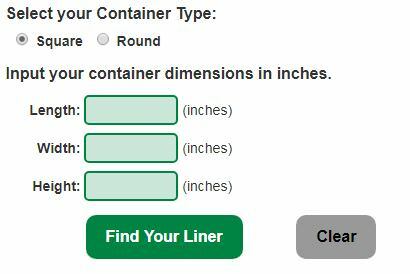 In an effort to help you right size your liners to select the appropriate Natur-Bag liners for your food scrap collection efforts, we’ve also developed an interactive sizing calculator which will recommend the closest-sized Natur-Bag liner option based on your collection needs. The calculator is programed to calculate inputs for both square and round container types. If you’re unable to find the right size liner for your efforts or would simply like to learn more about Natur-Bag's line of offerings, please contact us to help you find the right solution. These web tools are in their first phase of the rollout and will expand in the coming months with additional features available to users. After you check out these tools, click here learn more about the importance of compost and here to learn more about Natur-Bag's offerings for your zero waste and sustainability needs. Natur-Bag website: the Natur-Bag Food Waste Conversion Calculator and the Natur-Bag Right Sizing Calculator!